London/New Delhi, Feb 4: In a shot in the arm for the Narendra Modi government, the British government on Monday approved the extradition of fugitive liquor baron Vijay Mallya to India where he is wanted in the Rs 9,000-crore Kingfisher Airlines loan default case. Mallya has 14 days' time to appeal against his extradition in a higher court -- the Special Immigration Appeals Commission. A note issued by Press Officer Bethany Ditzel, citing a UK Home Office spokesperson, said: "On 3 February, the Secretary of State, having carefully considered all relevant matters, signed the order for Vijay Mallya's extradition to India. "Vijay Mallya is accused in India of conspiracy to defraud, making false representations and money laundering offences. He has 14 days from today to apply for leave to appeal." 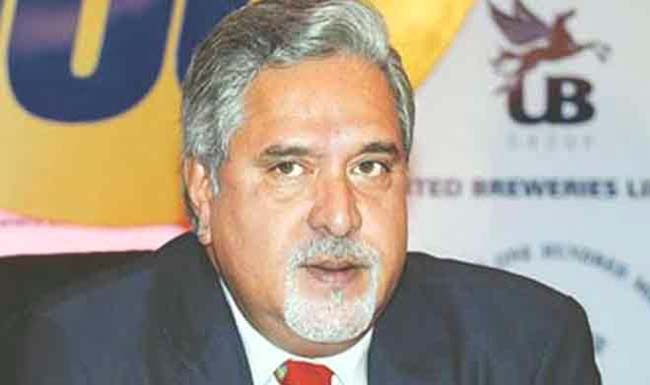 India has welcomed the decision by the British government to extradite Mallya. "While we welcome the UK government's decision in the matter, we await an early completion of the legal process for his extradition," said a source in the Indian government, adding they have taken note of the decision of the British Home Secretary. Welcoming the development, the CBI officials in New Delhi hoped to bring Mallya back to India soon and said that the agency was always strong on facts and legally, it was confident while pursuing the extradition process. Finance Minister Arun Jaitley took a dig at the opposition over the British government approving the extradition of Mallya, saying that they were rallying around the Saradha scamsters but the Modi government has cleared one more step for bringing back the fugitive liquor baron. "Modi government clears one more step to get Mallya extradited while opposition rallies around the Saradha scamsters," Jaitley, who is in the US for medical treatment, said in a tweet. Jaitley was referring to opposition parties supporting West Bengal Chief Minister Mamata Banerjee in her sit-in against the Centre over the CBI investigation into the Saradha scam case in the state, which involves the Kolkata Police Commissioner, among others. The Westminster Magistrates Court in the UK on December 10 gave the ruling to extradite Mallya following a prolonged litigation. Westminster Magistrates' Court Chief Magistrate Judge Emma Arbuthnot had then sent Mallya's case to the Home Secretary of State for a decision to be taken on whether to order his extradition. After the British Home Secretary's order, Mallya can move the Special Immigration Appeals Commission -- also known by the acronym SIAC -- which is a superior court of record in the United Kingdom established by the Special Immigration Appeals Commission Act 1997. It deals with appeals from persons deported by the Home Secretary under various statutory powers, and usually related to matters of national security. SIAC also hears persons deprived of British citizenship under the British Nationality Act 1981 as amended by Section 4 of the Nationality, Immigration and Asylum Act 2002. Mallya, 63, left India on March 2, 2016 after defaulting on loan amounting to Rs 9,000 crore he had taken for his now-defunct Kingfisher Airlines but he has repeatedly denied fleeing the country, saying he is ready to pay back the money he owed to the Indian banks. A consortium of 13 banks -- led by the State Bank of India (SBI) -- has been preparing to initiate loan recovery proceedings against him. The proceedings are on before the Mumbai Special Court against Mallya under the Fugitive Economic Offenders Act. Kingfisher began defaulting on loans in 2009-10. Late in 2017, India had filed extradition proceedings against Mallya which he contested. He is currently out on bail in London. On June 22, the Enforcement Directorate had moved the Special PMLA Court to declare Mallya a "fugitive economic offender" and confiscate all his properties, estimated at more than Rs 12,000 crore, making it the first such case of its kind under the new FEOA (Fugitive Economic Offender Act) law.